Let me share with you a little hidden jem in the midst of PJ Old Town. There is a food court right next to the morning wet market which serves pretty good curry fish head, Yong Tau Foo and also banana leaf. It is also home to the most delicious succulent grilled pork chop. 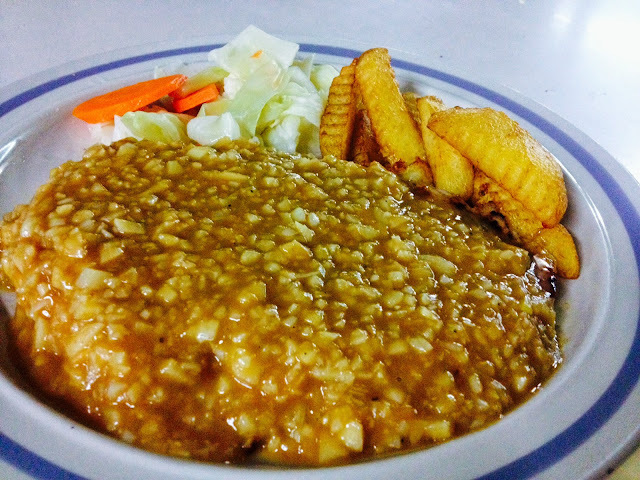 This little unpresumptious western stall serves up the basic chicken chop, pork chop or beef steak topped with a choice of garlic, black pepper or mushroom sauce. Two sides of grilled vegetables and homemade potato chips (super good) completes the dish. The stall is managed by a sweet old man, his wife and his help who often takes the orders. Be warned though that she can get overwhelmed with too any orders so best to order one at a time or just go alone. 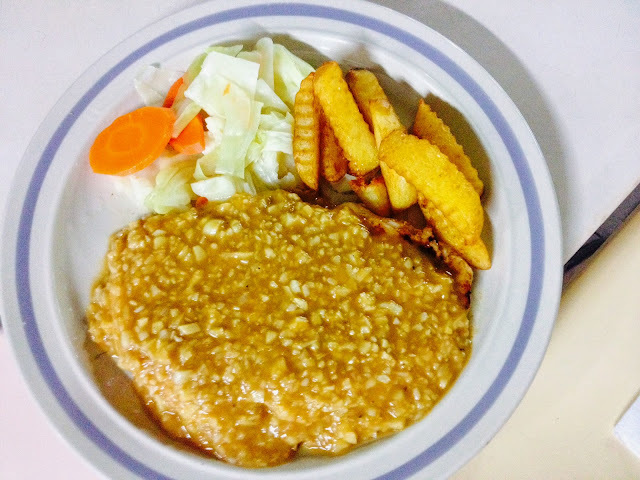 My usual is their grilled pork chop with lot of garlic sauce (RM11). Their sauce uses only the freshest garlic ever, all chopped up and mixed with the brown sauce, allowing that pungent and spicy kick which goes so well with the juicy bed of pork slab. The accompanying freshly made real potatoes chips makes for a good mop to lick up the sauce to finish. Another recommendation would the beef steak with black pepper sauce. 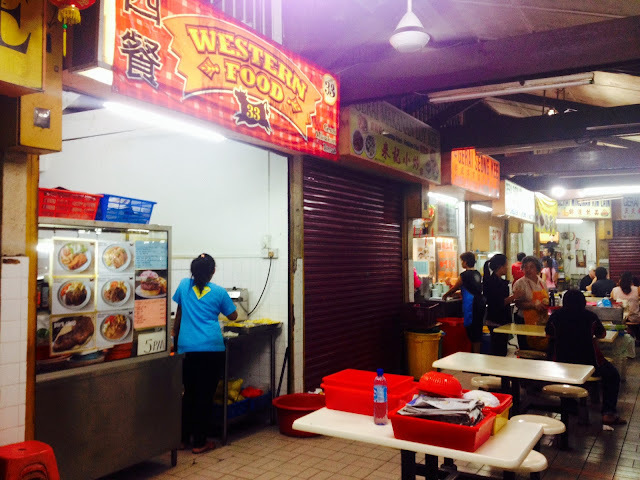 The western stall opens everyday from 5-9pm except Monday. Reebok Spartan Race Coming to Malaysia?